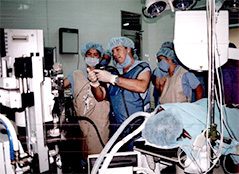 Since 2005 we have made trips to Vietnam to teach endoscopy and donate equipment. 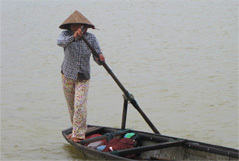 We travel with Dr Gerald Zelikovsky, a urologist and Vietnam Veteran who founded Global Medical Volunteers in 1999. 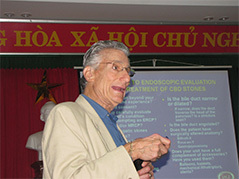 In recent years, our practice has become closely aligned with the Vietnamese gastroenterologic endoscopy society, and we continue to visit Vietnam in order to teach physicians through one-on-one training as well as lectures and live demonstrations. We also bring endoscopic instruments to those hospitals which have sparse supplies. Please visit the Global Medical Volunteers site and make a tax deductable donation, helping us to continue our efforts. Thank You. © Advanced Therapeutic Endoscopy of New York. ALL RIGHTS RESERVED.